If you're shopping for an Audi near Orlando, FL, you demand the very best the automotive world has to offer. You should expect a level of service commensurate with the expertly engineered vehicle you desire, and that's what Audi North Orlando delivers. Our Audi dealership near Orlando, FL, works hard to earn your business day in and day out, and we're convinced that we're worth the short trip up the highway for Orlando drivers. Whether you want to purchase a new or pre-owned Audi, get service for the Audi you already own or discuss your financing options, Audi North Orlando is here for you. Explore the impressive selection of new Audi cars and SUVs available to you. Come test-drive a new Audi A3 or A6 sedan, or opt for an Audi Q3 or Q5 SUV to get even more space. We sell CPO Audi models, too, as well as pre-owned Audi vehicles and used cars from other top makes. If you need Audi service near Orlando, FL, make us your first stop. Our Audi technicians are true experts in their field. We can also order OEM Audi parts and accessories for you, and our Audi specials are always enticing! 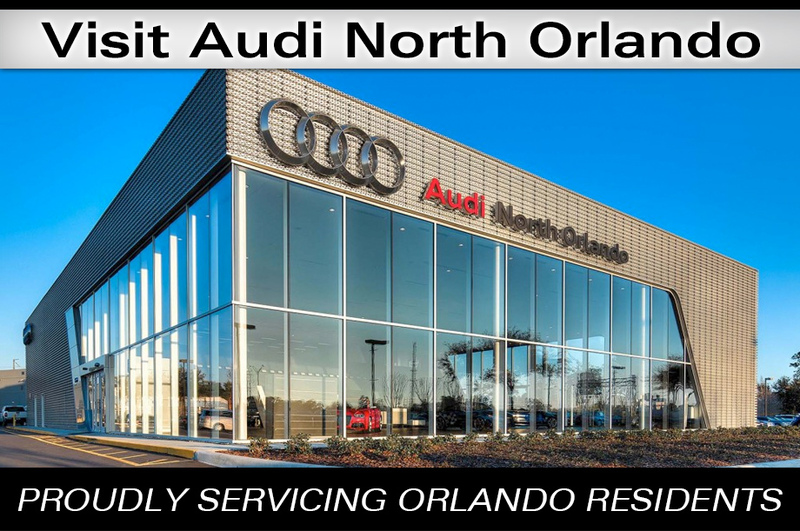 It's easy to get to Audi North Orlando from Orlando, FL. Simply take I-4 or Route 17 to our dealership at 129 N Oregon Street in Sanford. We're located right next to the highway, meaning many Orlando drivers can get to our dealership in 20 minutes or less! Get directions here, then visit Audi North Orlando and treat yourself to the type of automotive experience you deserve.